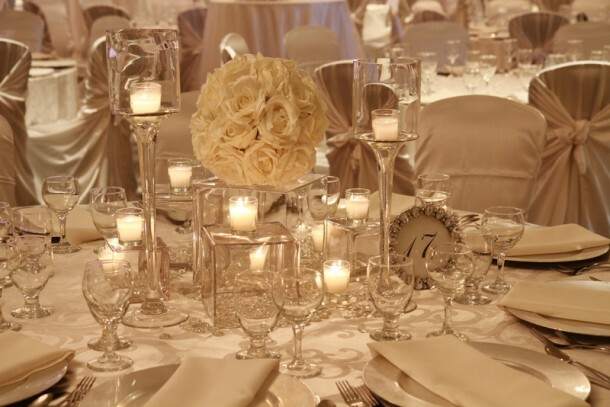 When choosing the wedding reception hall, first identify what your ideal vision of the venue is. Both the bride and the groom should take part in this, as the decision regarding the location is one that will affect both. Be sure to include your fiancé and possibly even your families in this decision and be open-minded to their opinions – you might just find yourself agreeing with them. Remember that if you save some money on the wedding reception location, it could go to other aspects of the wedding like dress, flowers and limos. When you select the location for your wedding reception, look into on-site venues such as restaurants, private clubs, or hotels. Many times these locations can provide all of the services you require such as serving staff, flatware, tables, chairs, linens, china, catering, and beverages. Off-site facilities might include wineries, historic estates, private residences, or community centers.